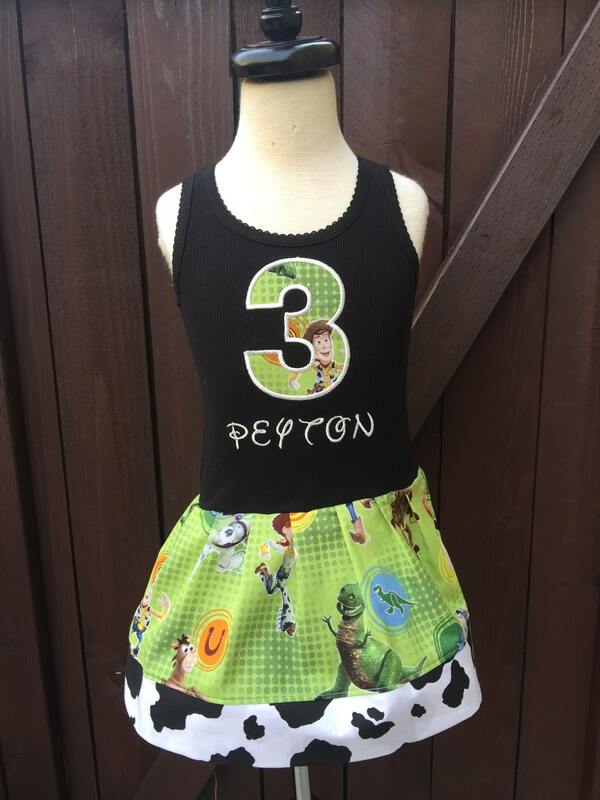 Custom Girls Dress. Monsters Inc Inspired. 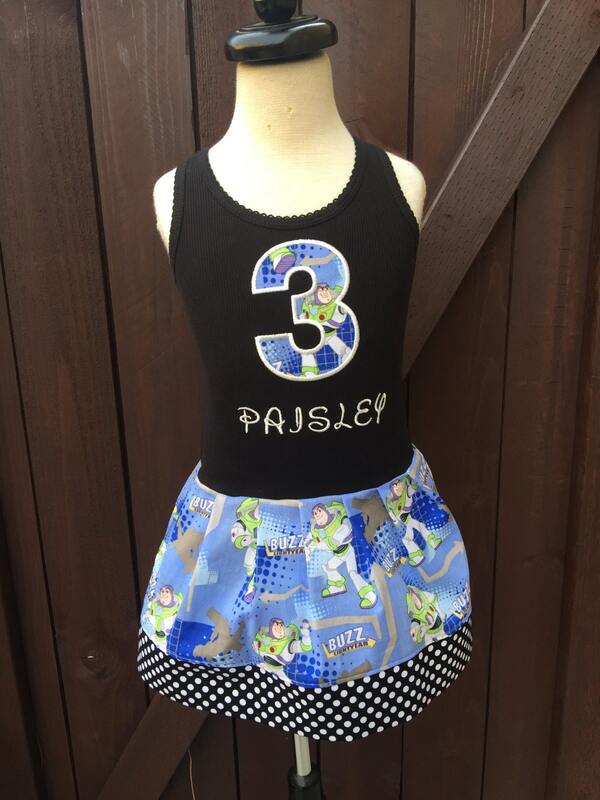 This adorable Monsters Inc inspired dress is perfect for that Monsters Inc Fan. All the characters are on this fun fabric. 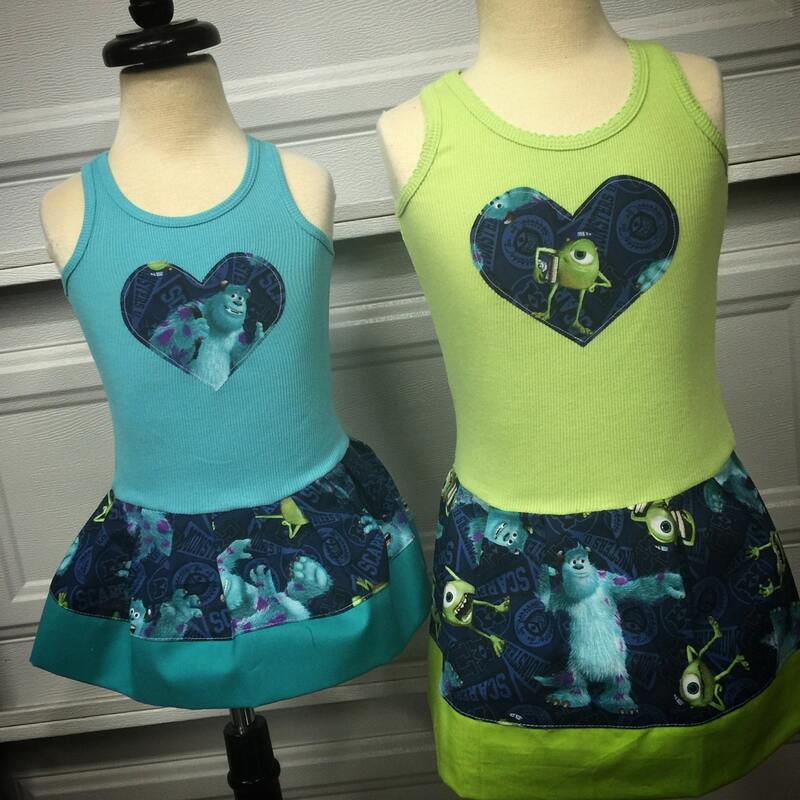 Dress comes with heart applique unless otherwise requested. This dress is so cute!! It is EXACTLY what we were looking for and my niece is thrilled! She Can’t wait to wear it on our WDW trip!